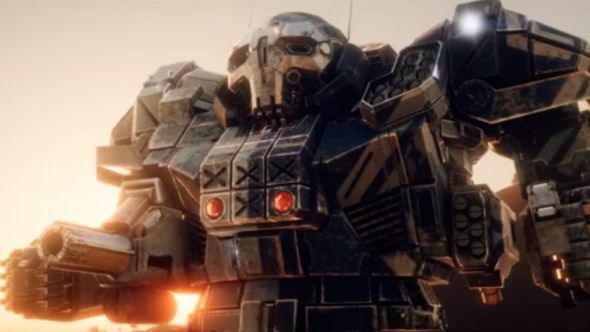 Developers Harebrained Schemes have laid out the content roadmap for BattleTech. They plan to add full pilot customisation in the game’s next big update, alongside options to increase combat speed and interface improvements. New to BattleTech? Check out our guide to getting started! The full roadmap was posted on the game’s Kickstarter page. While for now HBS are focusing on bug fixing and localisation, they’re planning a big update for June/July that will make a lot of improvements based on feedback they’ve received. The most significant addition will be the new customisation options. Currently players are only able to choose details for their own character, with some basic options for their mercenary company. This new update will add the ability to change the appearance, callsign, name, and voice of all MechWarriors in the game, if you so wish. Update #1, as they’re calling it, will allow players to increase the speed of combat, which was a common complaint of BattleTech – although certainly not from us. The developers will also address difficulty spikes, add interface improvements to the management side of the game, and give the ability to skip the opening tutorial mission. Harebrained Schemes are planning more updates later and are also hoping to release “a larger paid content expansion or two,” although they make it clear that right now they’re only focusing on making the current game better, so we’ll have to wait a bit for any potential DLC.